We work hard to make your experience with East Georgia Radiology as quick and pleasant as possible. Before coming in for your appointment, please review the guidelines and preparations to help ensure optimal speed. 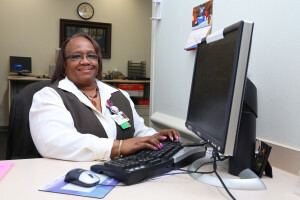 Our staff makes every effort to pre-register patients for any outpatient procedures to expedite your wait time. We apologize for the extensive paperwork but due to the heavily regulated environment of medicine, this is beyond our control. Please call your scheduled location for more information on patient preps. Please scroll down the page to view the patient prep, or select a prep from the menu to the left to jump to that prep. You should report to your doctor all medications that you are taking, including herbal supplements, and if you have any allergies, especially to local anesthetic medications, general anesthesia or to contrast materials containing iodine (sometimes referred to as “dye” or “x-ray dye”). Your physician may advise you to stop taking aspirin, nonsteroidal anti-inflammatory drugs (NSAIDs) or blood thinners for a specified period of time before your procedure. Also inform your doctor about recent illnesses or other medical conditions. Women should always inform their physician and x-ray technologist if there is any possibility that they are pregnant. Many imaging tests are not performed during pregnancy so as not to expose the fetus to radiation. If an x-ray is necessary, precautions will be taken to minimize radiation exposure to the baby. If you are breastfeeding at the time of the exam, you should ask your doctor how to proceed. It may help to pump breast milk ahead of time and keep it on hand for use after contrast material has cleared from your body, about 24 hours after the test. If you are sedated, you should not drive for 24 hours after your exam and you should arrange for someone to drive you home. Because an observation period is necessary following the exam, you may be admitted to the hospital for an overnight stay if you live more than an hour away. If you need sedation for claustrophobia, you must have someone else drive you to and from your exam. • Do not wear anything with metal (zippers, snaps, hooks.) Athletic wear with elastic waistband is a good choice. You will likely be instructed not to eat or drink anything after midnight before your procedure. Your doctor will tell you which medications you may take in the morning. You will be admitted to the hospital on the morning of your procedure and be assessed by the interventional radiologist before the procedure begins. You should plan to stay overnight at the hospital for one or more days. You will be given a gown to wear during the procedure. CT’s of the abdomen and pelvis usually require a 24 hour prep. You may be asked not to eat or drink anything for one or more hours before your exam. The prep supplies for CT abdomen and pelvis exams are available for you to pick up at the location where your exam is scheduled. Please call the location you are scheduled at for more details. You will be asked not to eat or drink anything for one or more hours before your exam. If you have any questions about your exam, please call the location you are scheduled at for more details. • No calcium supplements or osteoporosis medication 24 hours prior to your exam. • No barium, nuclear medicine or I.V. contrast exams within 7 days prior your exam. • Please wear comfortable clothes and avoid metal buttons or buckles. 24-hour prep done the day before exam. Lunch- Light lunch. Clear soup, unsweetened fruit juices, sugar-free gelatin, black coffee or plain tea. No milk or cream. Dinner- Liquid dinner. Clear soup, unsweetened fruit juices, sugar-free gelatin, black coffee or plain tea. No milk or cream. Bedtime- Take 3 Bisacodyl tablets with water. Do not chew. • Do not eat or drink. You may take any prescribed medications, except for those that must be taken with food. • Diabetic patients may have a liquid breakfast (12 ounces of sweetened fruit juice) and take their medication. • Nothing by mouth after midnight (this includes water). No water should be drank after midnight. • Clear liquid diet (no milk products) starting at noon on the day before the exam. Sugar substitutes are permitted. • Three Bisacodyl (do not chew) with two, 8-ounce glasses of water at 4:00 PM. • Do not take anything by mouth 3 hours prior to the exam. You may take any prescribed medications except for those that must be taken with food. If you need sedation for claustrophobia, you must have someone else drive you to and from your exam. Please call your scheduled location for any additional questions. Wear a gown during the exam or you may be allowed to wear your own clothing if it is loose-fitting and has no metal fasteners. Guidelines about eating and drinking before an MRI exam vary with the specific exam and also with the facility. Unless you are told otherwise, you may follow your regular daily routine and take food and medications as usual. Some MRI examinations may require the patient to receive an injection of contrast material into the bloodstream. The radiologist or technologist may ask if you have allergies of any kind, such as allergy to iodine or x-ray contrast material, drugs, food, the environment, or asthma. The contrast material most commonly used for an MRI exam is called gadolinium. Because gadolinium does not contain iodine, it can be used safely in patients with contrast allergies. The radiologist should also know if you have any serious health problems, or if you have recently had surgery. Some conditions, such as severe kidney disease may prevent you from being given contrast material for an MRI. If there is a history of kidney disease, it may be necessary to perform a blood test to determine whether the kidneys are functioning adequately. • Must be able to lie still for up to 90 minutes. • Do not wear anything with metal (zippers, snaps, hooks). Athletic wear with elastic waistband is a good choice. • Take necessary pain medications before leaving home and bring additional pain medication with you at time of visit. • Claustrophobic patients should take Valium prior to leaving home and arrive with a driver. • May take any other prescribed medications, as long as they can be tolerated on an empty stomach. • No food for 6 hours prior to study. May drink water, but no other type of liquid is allowed. • Glucose levels will be checked prior to exam. • Insulin dependent patients may bring insulin with them to be administered after their scan. • No physical activity for 48 hours prior to exam. • Discuss any medication you are taking with your clinician. You may be asked to stop the use of blood-thinning medications, including aspirin, a number of days prior to your biopsy procedure. • Wear a two-piece outfit that is comfortable and easy to remove. • Do not use deodorant, powder, or perfume under the arm or breast area. They may interfere with the quality of the images taken during your procedure. • Eat a light meal before your procedure. Prior to a needle biopsy, you should report to your doctor all medications that you are taking, including herbal supplements, and if you have any allergies, especially to anesthesia. Your physician will advise you to stop taking aspirin or a blood thinner three days before your procedure. Also, inform your doctor about recent illnesses or other medical conditions. You may want to have a relative or friend accompany you and drive you home afterward. This is recommended if you have been sedated. Most x-rays require no special preparation. You may be asked to remove some or all of your clothes and to wear a gown during the exam. You may also be asked to remove jewelry, removable dental appliances, eye glasses and any metal objects or clothing that might interfere with the x-ray images.